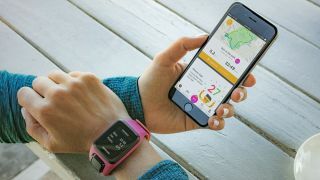 TomTom make some of the best fitness watches on the market, but some of those devices are set to get much better with a new software update that's rolling out soon. At IFA 2017, TomTom announced the new software called 'Fitness Age' that aims to give you more motivation and personal guidance to help you see how fit you are, learn how to get fitter and improve the way you work out. The Fitness Age feature is based on your personal fitness level and uses VO2 max results from your watch. Those are then compared with averages for your gender, and the younger your Fitness Age the fitter you theoretically are, but it'll never go below age 20. The new software will then give you fitness points depending on your activity that day. More fitness points is a positive thing and for example a 10 minute fast-paced run may give you more points than 20 minutes of walking. The aim is you can hopefully cut out workouts that don't work for you and aim to spend your exercise time better. TomTom is also including personalized workouts within the app for the very first time, letting you choose between fat burn, endurance, fitness, speed and power. It will then monitor your fitness age and your VO2 Max results to automatically make your next workout either more or less intense. These new concepts are coming to TomTom watches as well as the iOS and Android apps. You'll need to head to your phone for a proper breakdown of your fitness points. Watches that will be updated include the Runner 2, Runner 3, Spark, Spark 3 and Adventurer, but the updates will be staggered throughout September this year. Any data you've amassed with these devices from January 2016 will be used to calculate your initial fitness age, but any data from before that won't be used. We're live from Berlin for IFA 2017, Europe's largest technology conference. Stick with TechRadar for all the latest news.